As long as women are reprimanded for wearing their natural hair at school or work, the fight for inclusive beauty carries on. Despite those unfortunate circumstances, one 24-year-old beauty queen is offering a powerful example of resilience and representation. 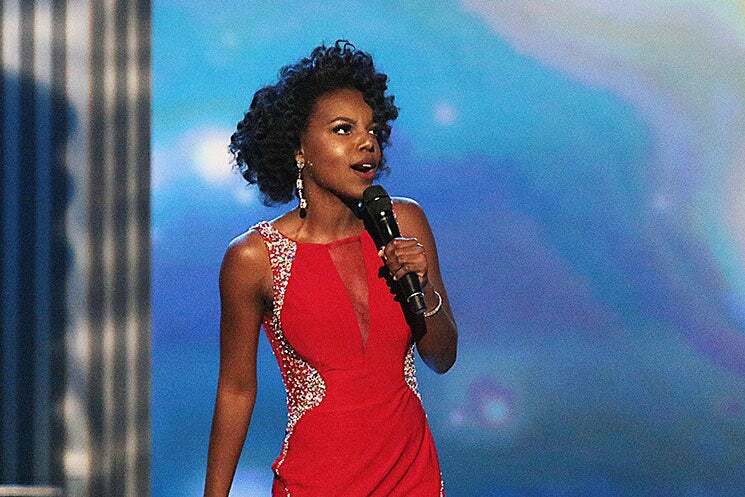 Early last week, Cierra Jackson, a six year beauty pageant veteran, competed in the Miss America pageant after wining the title of Miss District of Columbia in June. Although she didn’t take home the crown, Jackson inspired young girls everywhere by refusing to alter her natural texture in an industry that has long prized assimilation over individuality. Unsurprisingly, the Spelman College graduate is a role model both on and off stage. Jackson, a former White House intern, was the only person to serve the chief of staff under President Obama and somehow found time to also write a children’s book, the semi-autobiographical CC the Military Kid. Where does she plan to go from here? According to her website, Jackson hopes to attend Columbia’s School of Journalism before enrolling in law school and running for political office.